Sauces, especially the decadent classics like béchamel and hollandaise, in light of ever-expanding waistlines, seem to be relegated to guilty indulgence. I won’t argue that we should eat butter sauces daily, but I think there is a place on your plate occasionally for a special sauce. Beurre blanc (white butter sauce) is a good one to have up your sleeve. In fact, I would say if you are going to master one this should be it. It’s a good entry-level sauce. There’s some sorcery involved as the butter emulsifies with the vinegar-wine reduction, but once mastered it’s straightforward and holds well. It’s excellent on fresh caught fish (or on scallops, seen above) and it also makes a “putting on the ritz” addition when drizzled over asparagus or artichoke hearts among other things. Another point in its favor is that when it fails all is not lost as the broken sauce is excellent tossed with some green beans. I have to admit that I use to hope for the characteristic oil slick to appear in the hopes that I could use it for this purpose. Now I simply make a larger batch. I drizzle the fresh sauce prettily over my entrée and any leftovers, kept refrigerated, are re-heated and tossed with steamed vegetables later in the week. You make a beurre blanc in two parts. First you reduce lemon juice, white wine, and/or vinegar with minced shallot. I like to make my reduction with equal parts white wine and white wine vinegar. While fresh lemon juice is popular, I find the acidity a bit of overwhelming and instead prefer this combination. Once reduced, you whisk in COLD butter cubes (as in you cut the butter into cubes and then kept it refrigerated until this moment), a few at a time. 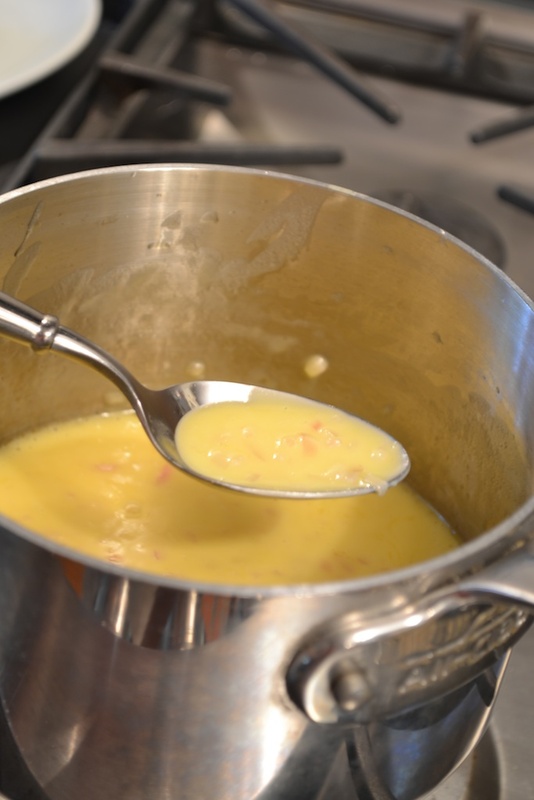 Almost immediately, a creamy yellow sauce begins to form. Heat control is imperative at this point. I cut the heat by about half and add a couple more butter cubes as soon as the first ones are incorporated. Whisk constantly and be on the look-out for a streak of oil to appear. It will look just like olive oil and is a sign that your sauce is breaking due to the heat being too high. 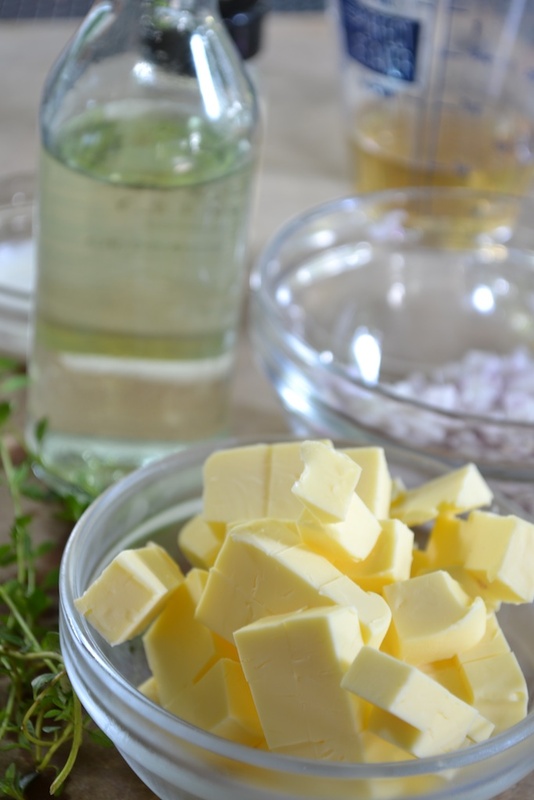 If this occurs, you may add a little cold water to lower the temperature or simply remove the saucepan from the heat and, while continuing to whisk, drop a few more butter cubes in to lower the temperature. Most often a little oil does not mean all is lost and one should carry on with confidence until all the butter has been added. After all, even a failed sauce is a delicious addition to your table. 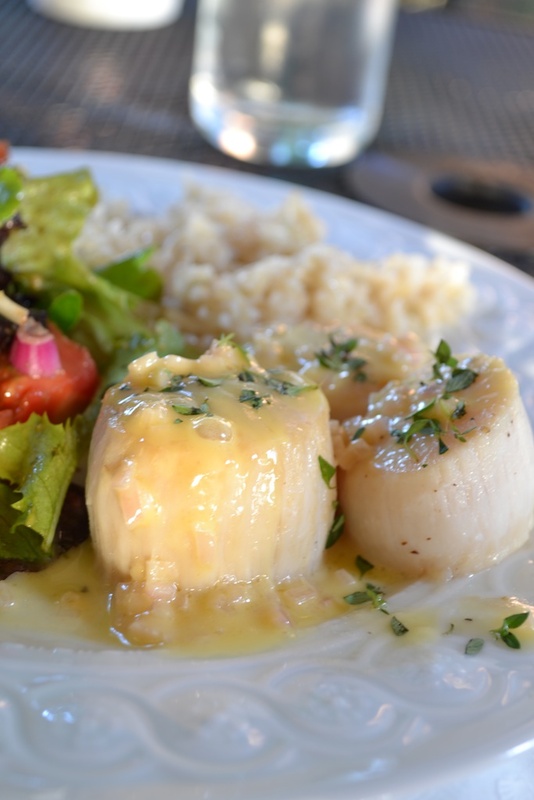 Below you’ll find a recipe for beurre blanc that I adore served with seafood, chicken, and vegetables. 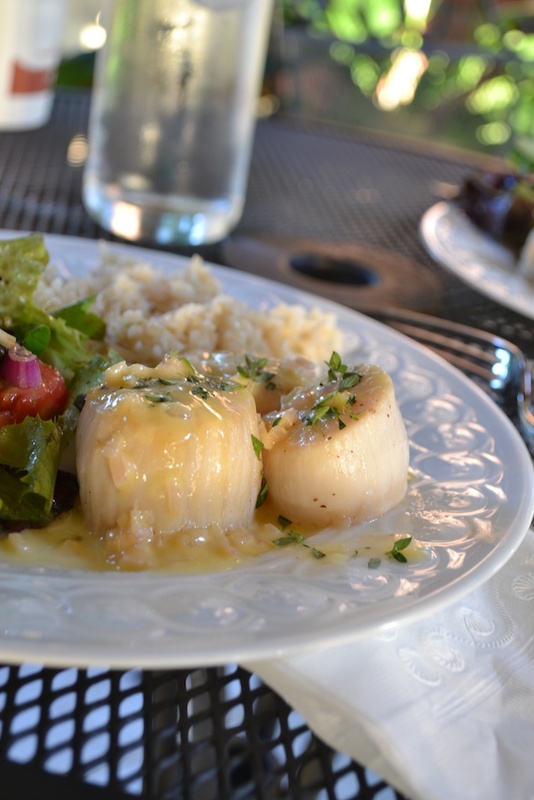 I’ve also included a pan sauce recipe for seared scallops with beurre blanc. This sauce contains the same ingredients, but is made in the same pan as the scallops and is good for a busy weeknight. The color of the sauce is not as pretty, but this seems a reasonable sacrifice for one less dish to wash. Happy cooking! 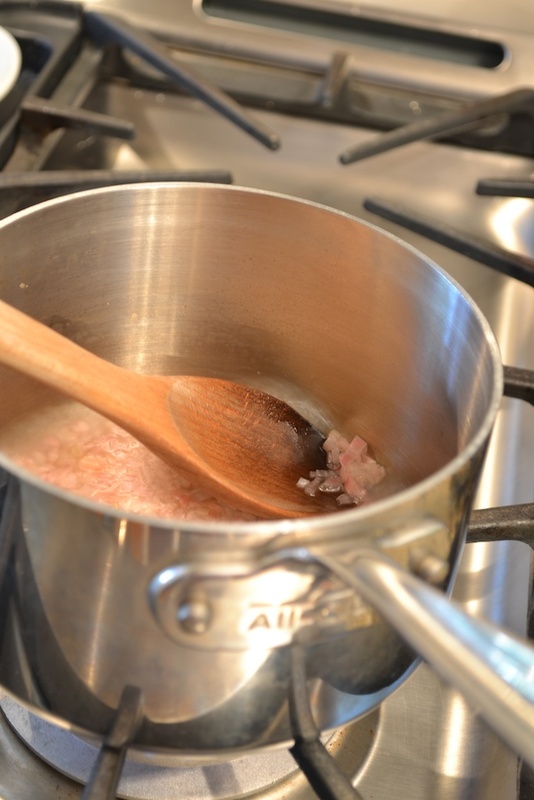 In a small saucepan, bring white wine, white wine vinegar, and shallot to a simmer. Reduce liquid by half. Reduce heat to low and whisk in one tablespoon cream. Whisk in butter one piece at a time. Watch sauce carefully, and remove from heat if needed to avoid sauce getting to hot. The temperature of the sauce should be warm, not hot, at all times. Once all the butter is incorporated into the sauce, strain the sauce if desired, and season with salt and pepper. Using red wine and red wine vinegar instead of white wine and white wine vinegar makes a Beurre Rouge sauce. Herbs can be used to add additional flavoring. 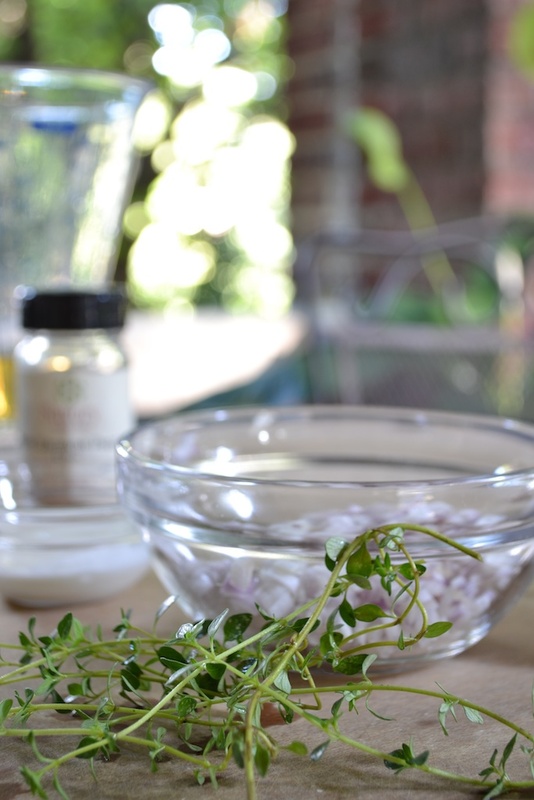 Add herbs to the pan with the white wine, white wine vinegar, and shallot and continue with the recipe as directed. Use lemon juice instead of white wine and white wine vinegar for a different taste. Omit the white wine vinegar and use 1/2 cup white wine for a less acidic sauce. Pat the scallops dry with a paper towel and season with salt and pepper. In a small skillet, heat the olive oil over medium heat until hot. Add the scallops and cook for about 2 ½ minutes on each side. Remove the scallops from the skillet using tongs and cover with foil. Add the shallot to the skillet and sauté until just soft, about 2 to 3 minutes. Add the white wine and white wine vinegar and reduce by half. Whisk in the butter one piece at a time. Spoon the sauce over the scallops and serve immediately.